Activists sue Arcadia over 2 residential development projects - An activist group filed a lawsuit against the city of Arcadia in attempt to halt two residential development projects city officials approved in February. The organization, Save the Arcadia Highlands, is challenging the City Council’s approval of the projects, citing possible violations to “specific provisions” of the California Environmental Quality Act (CEQA) and the California Planning and Zoning Law, according to the document filed March 12. The suit claims the projects would result in “significant impacts” to the environment. It also alleges the city failed to adequately assess or lessen the impacts in accordance with CEQA and the guidelines. David Arvizu, spokesman for the organization, said he fears the over-development is incrementally changing the lush environment of the Highlands. Nearly 30 homes larger than 5,000 sq. ft. have been proposed in the 850-home community in the past three years. The group is requesting that the Los Angeles Superior Court halt further implementation of the projects unless or until each one fully complies with environmental, state and city laws. Neither City Attorney Steve Deitsch nor Save the Arcadia Highlands’ attorney, John G. McClendon, responded to calls for comment Tuesday. While I normally don't like lawyers and lawsuits, its important that everyone knows that its not just developers who can sue a city to get a project approved, its also the ordinary residents who can sue a city to deny an out-of-place project. That's a good thing and I hope they prevail. One of the great difficulties they are going to have in Arcadia is the precedent set by the hundreds of oversized, lot-filling gargantuans that have been allowed. Agreed 9:20. I want to be hopeful for the Highlands, but worry that they are too late. A law suit is probably the only thing that will work. The wannabe fly away boys don't listen to anything they aren't forced to. It shouldn't just be the developers that can sue. Let the city be afraid of the residents too who are being screwed over by all this. The horror! Residents talking back! This is what happens when city government doesn't represent the city's residents. The Arcadia city council did not leave them any other choice. They do represent the residents. Why else would the residents continue to reelect the same guys over and over again? If you evaluated the votes cast by the majority of the residents in the northern area of the city, maybe they didn't want these guys they are now suing. They do represent a majority of the residents. See their web page. If they are the minority, minority rights are still protected in this country. That is why their are courts of law. Otherwise everything is a popular vote. And since nobody votes how valid would that be? Somethings are above and beyond someone's casual of what represents a majority. 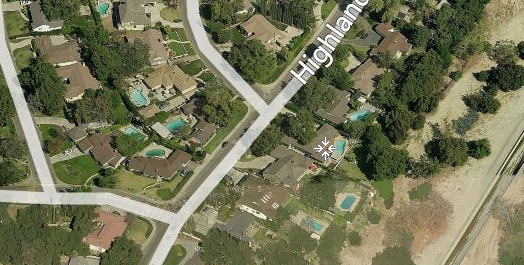 10:38, the Save the Highlanders are a majority in their area of Arcadia - but that's a very small part of the whole town. That might be the only way they could save themselves, 1:21. What an interesting story that would be. Can residents of a city secede. That would be a novel idea. Bet you like what Shakespeare said about lawyers, 6:58. I gather that the Home Owners' Association has very little real political power at city hall, but hasn't it got some standing? City Hall in Arcadia only talks to big money, most of it overseas. In my opinion that is the reason for the law suit. To force this city government to listen to the taxpayers. Did you hear about the terrorists who took over a courthouse full of lawyers. They threatened to release one lawyer every hour until their demands were met. What would the terrorists do if they took over Arcadia City Hall? The Star News article (that was no doubt informed by the Tattler) links to their previous report on the meeting where this bad decision came down, and a supporter - who happens to be a contractor - talks about how crummy some houses have gotten, and how he'd like to have one of these monsters next to him. So maybe we can work something out, like the neighbors around a site sign off on a MacMansion, a kind of neighborhood approval stamp. People to each side, front and back give permission for having their views, light, privacy impacted. I like that idea. I'd start with Realtor Reni Rose who signed the petition that sealed the fate of the Highland's neighbors. She lives in Arcadia. She should sign something that gives permission to have a McMansion next door to her. I bet she's be singing a different tune when its now going to happen to her rather than someone else. Wonder what that home cost chart will look like if the drought continues to be as bad as forecasted? We've thought of selling and getting out of the area, but one thing that slows us down is the realization that we could never buy back in. That is the fact! Once one decides to sell in Sierra Madre, you won't be buying your house back. But that's been ok for lots of people. If there town turns into what we're seeing on Cabrillo Road, nobody will want to buy. You mean Camillo, right 10:47? And if my house gets surrounded by those monuments to conspicuous consumption, I'll sell. Maybe the developers are building Camillo houses on purpose to force the whole town to sell. I'd say that's a pretty good strategy to get people to move. It is a contagion. Soon it will spread. And when City Management are 'bought' by interests hostile to the general good of the City. Those special interest groups are all bad - developers, anarchists,extreme political groups pretending to be environmentalists. etc. The price of apathy among voters/citizens. Sloth is a vice that enables greed in this example? 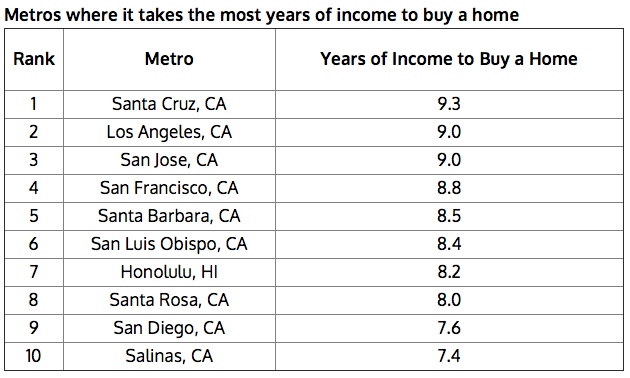 So Santa Cruz is no longer the rambling low-rent town of the past. And Salinas is not someplace Steinbeck would recognize. Join Preserve Sierra Madre and help keep our city from becoming another Arcadia. It happens one house at time. Can you imagine what would happen to a preservationist who ran for Arcadia City Council?! The jig is up. No way would the 60% Asian population support anyone who would hurt the trends going on now in that city. They would vote for him/her if she had a Chinese last name. I've had business dealings with some of the new Asian immigrant population, and while I can only speak from limited experience, it seemed like there was no desire to vote. There was even ridicule for the process, like the most cynical long term American residents sometimes have. But that's been changing over the last 10 years. Well, there is the pesky fact that one is supposed to be US citizen to vote. Supposedly. Not any more if some people have their way. There is talk of a law that makes voting required. Not voting being like no paying your taxes. Anybody can sue anyone for anything, big whoop, so someone's suing, they lose, carry on...scrape it rake it and stake it, let's go!!! That is a great idea for the Highlands to secede and call it the Highlands. Maybe we should secede and call it the Madres.